Beckta has moved into my old bank. I’m not bummed about it. Truth is I’d rather walk to lunch than pay bills at this address. But I must say: I miss the books. 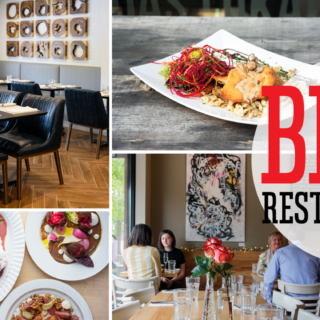 Gezellig, Steve Beckta’s third restaurant, is on Westboro’s primo corner of Richmond and Churchill, in a former branch of the TD Bank that happened to lend a table for used books browsing. Can’t remember exactly what the deal was: take one, donate one, leave a buck or two? Whatever. It was charming. Still, Gezellig was necessary. I can see that. This neighbourhood is underserved, restaurant-wise. It has watched, pouting, as neighbourhoods to its east — West Wellington and Hintonburg — sprouted delicious places to eat, and muttered small obscenities when it was delivered of yet another chain pub or sports bar. Sure, Westborians have got lots of places to buy paddles and long johns and overpriced sports bras, but gastronomically-speaking, their ‘hood has offered some pretty bleak grazing. Gezellig’s renovated space exudes modern comfort. 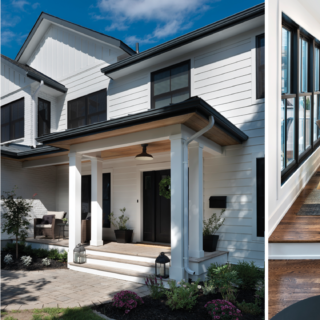 It’s tall and handsome (and manages that without the benefit of a single rough barn board, swingin’ saloon door, or Edison-style light bulb) while the height and placement of windows invites the outside in. Gezellig’s palate is light grey and dark blue, but warmed with plenty of pale birch surfaces. Tables gleam with lacquer and pop with white linen. And the service, as you’d expect from a Beckta-run house, is knowledgeable and friendly. Executive Chef Mike Moffatt is the grand fromage for all three of Beckta’s places (Beckta and Play being the other two). Gezellig’s restaurant chef is Che Chartrand, previously chef-owner of the tiny Chez Eric in Wakefield. The day was raw, but so was my Gezellig lunch. 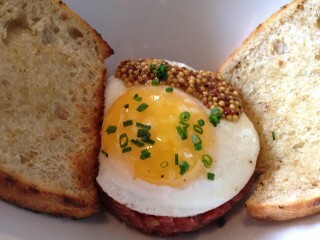 The house steak tartare was luscious meat, hand-cut into small dice, well seasoned and left largely alone but for its sunny fried egg toupé and side pile of mustard seed. These had been puffed in a hot dry pan, and then glugged with Brandy. 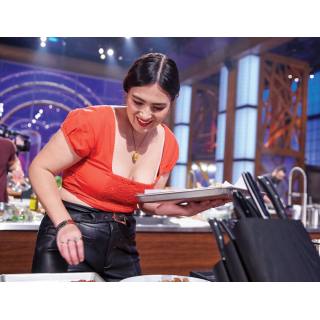 They ‘popped’ in the mouth, left a lovely boozy afterglow, and gave some pungency and texture to the chewy meat. Oiled and toasted bread ferried tartare to mouth. 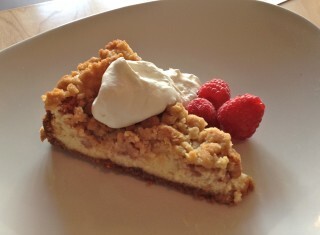 Gezellig offers any two small plates, or one small plate and one dessert, for $20. So I had the steak tartare and a cheesecake (the creamy wedge with an apple crumble topper, served with whipped cream infused with thyme). A bit odd, that combination, but it worked well for me. And I brought my own book. 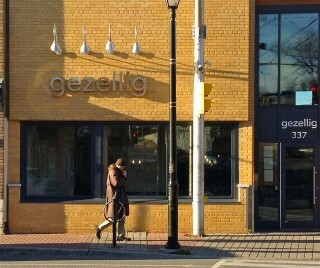 Gezellig, 337 Richmond Rd., 613-680-9086.